camera (Courtesy Marianne van den Broek) Marianne van den Broek teaches sand sculpting at a resort in Key West. Editor's note: This is the first installment in a new mini-series on some of the most unusual and amazing jobs in the travel industry. 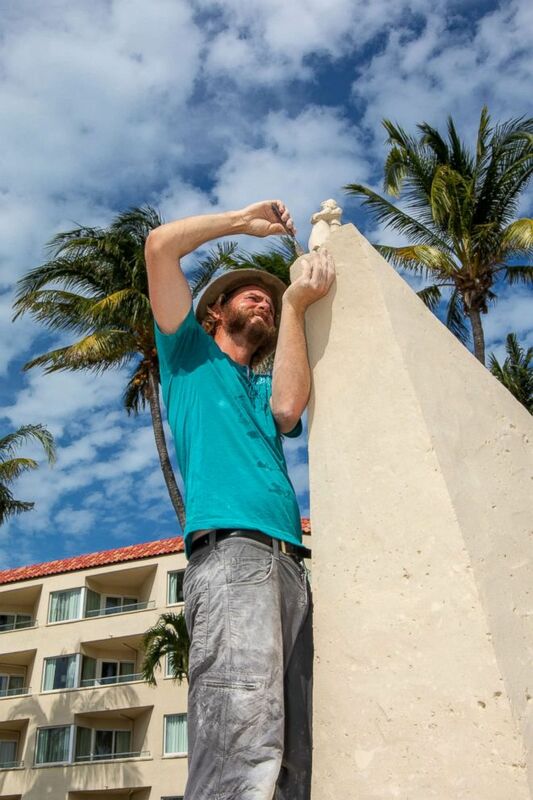 Marianne van den Broek is the resident sand sculptor at Casa Marina and The Reach, in Key West, Florida. She teaches sculpting workshops for hundreds of Key West visitors every year. 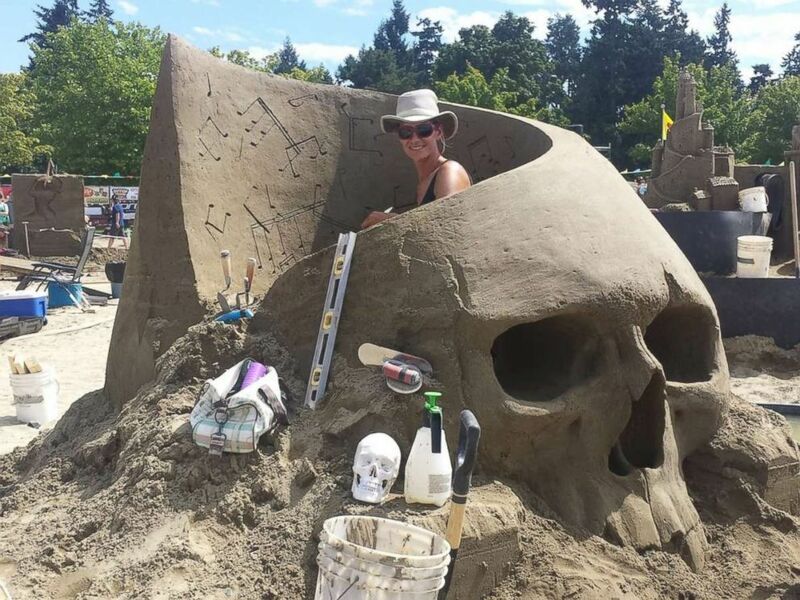 Last month, Marianne played host to her famed annual International Sand Art Competition. 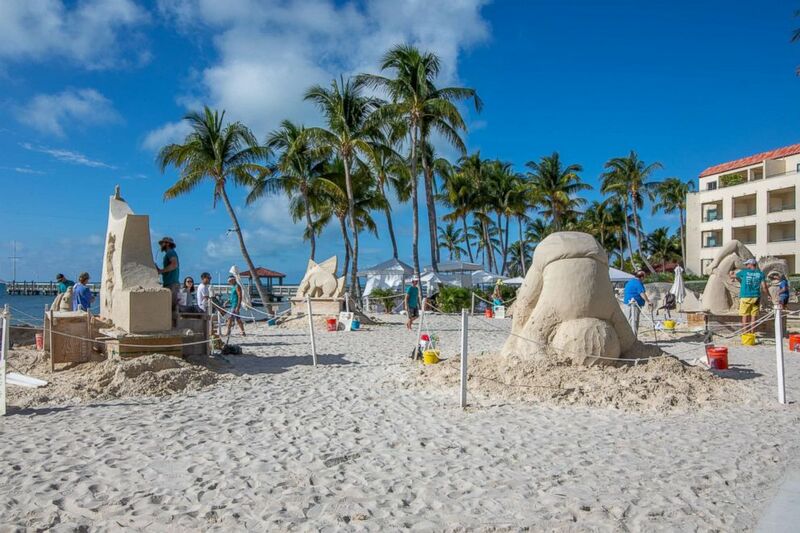 From Nov. 21–25, thousands of travelers flocked to the largest private beach in Key West to watch 140 tons of sand transform into towering sculptures created by master sand artists from as far as Singapore and Ireland. Here is Marianne van den Broek in her own words. 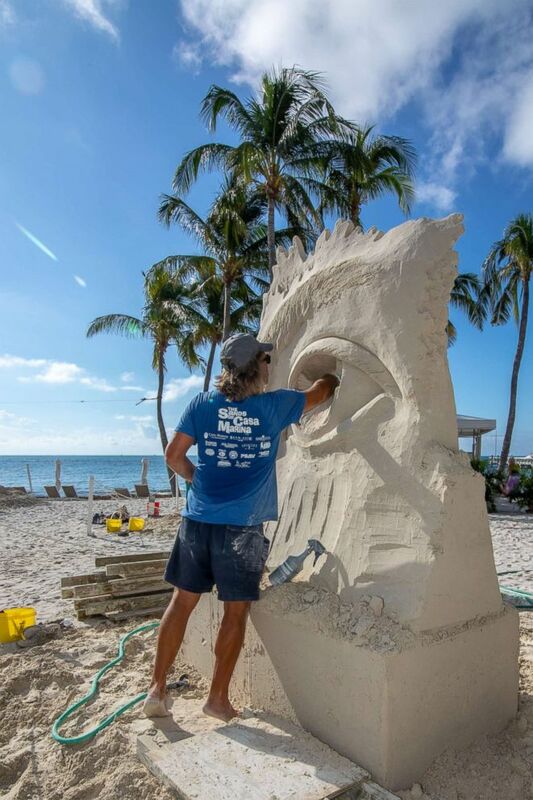 On the heels of organizing and executing yet another successful International Sand Art Competition in Key West, it always reminds me of where I started. How’d I become a professional sand sculptor? Well ... the beginning of my passion for sand as an art form was when I first picked up a tool and started making figures in a block of sand in 1999. This was part of a project at home in Amsterdam where I was initially hired to do grunt work: shoveling and compacting the sand to blocks. When they let me stay and play along with the professional sculptors, I became hooked pretty quickly. 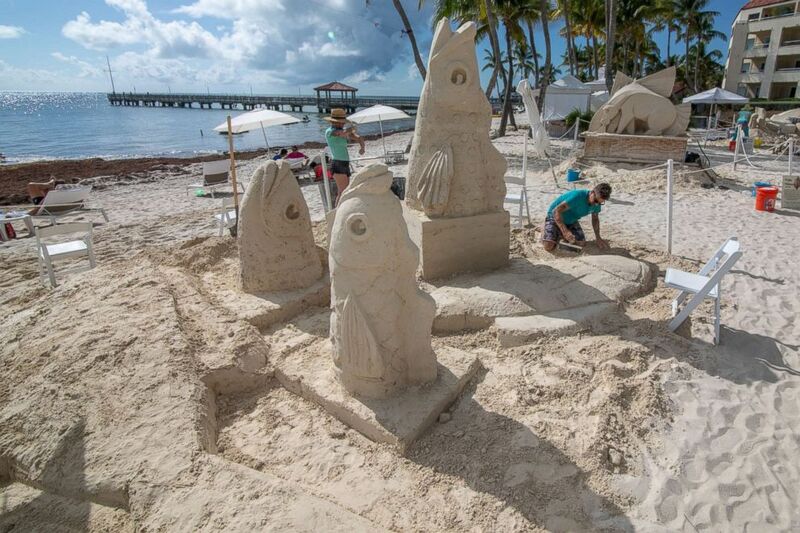 (Courtesy Marianne van den Broek) Marianne van den Broek teaches sand sculpting at resort in Key West. Does anyone have a dogsled we can borrow? The Ultimate Family Suite is the perfect room for a family adventure. It's the "GMA" suite of the week. I literally started to see a world in a grain of sand. Sculpting is training your brain to think in 3D and visualize what the end result will look like. It is completely different than drawing on a flat piece of paper. Unlike wood or marble where there is thinking and planning involved before you can even start, sand allows you to get started with just a bucket with water, simple tools and a shovel. When people watch me work, they often comment on how much patience it requires to do what I do. But in comparison to sculpting with other materials, sand is much faster to show results for a sculpture that is on display for the public. What is interesting is how my personal sculpting style is slowly transgressing from creating architectural replicas to more abstract forms. I'm developing a love for shapes and how they can stir your emotions. I became hooked on competitions in 2002 because they give me the freedom to display my own creativity. I traveled back and forth between Holland and the U.S. for a few years before moving to the U.S. full-time in 2004. I married a fellow sand sculptor and we moved to Key West in 2005. In 2009, I started my own business building sand sculptures. I figured, I might as well try and see what happens instead of asking myself the rest of my life, "what would happen if I started a sandbox as a business?" My first location was an empty lot on the corner of Virginia and White Street in Key West where a building had burned down and they were not going to rebuild anytime soon after the economic meltdown of 2008. The City of Key West gave me permission for one year to build a sandbox and find out if my idea was viable as a business. So I started teaching classes on how to build sand castles and offering custom-designed sculptures for weddings and corporate events. The lot was located directly next to the world-famous Sandy's Cafe, which is also a laundromat: it either smelled like bacon or laundry detergent when we were outside sculpting. Through serendipity, I received a phone call asking if I would be interested in opening a sandbox at Casa Marina, a Waldorf Astoria Resort, in Key West. As of February 2011, I moved my business there and have since operated in two sandboxes at the Casa Marina and one at The Reach, also a Waldorf Astoria Resort, located next door. 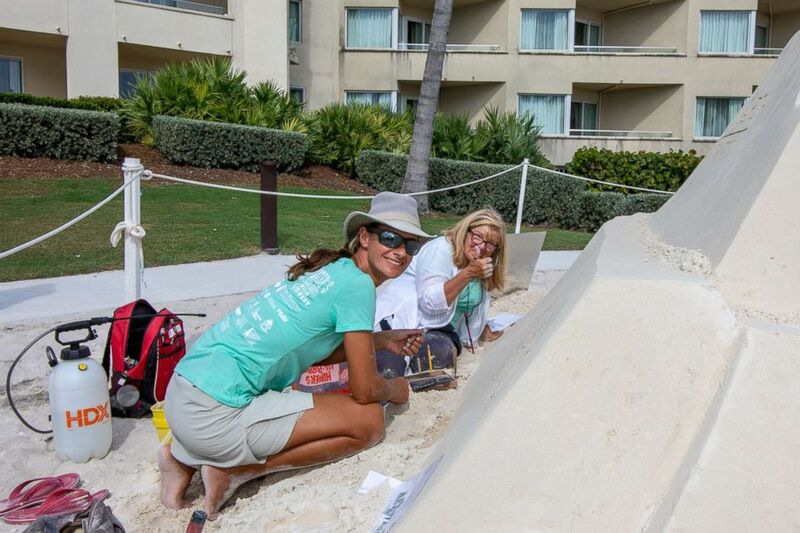 These days, I'm at the Casa Marina a minimum of three to four days a week building sculptures for weddings, carving logos for corporate functions, teaching guests what you can do with sand and strengthening the camaraderie among colleagues with team-building activities. 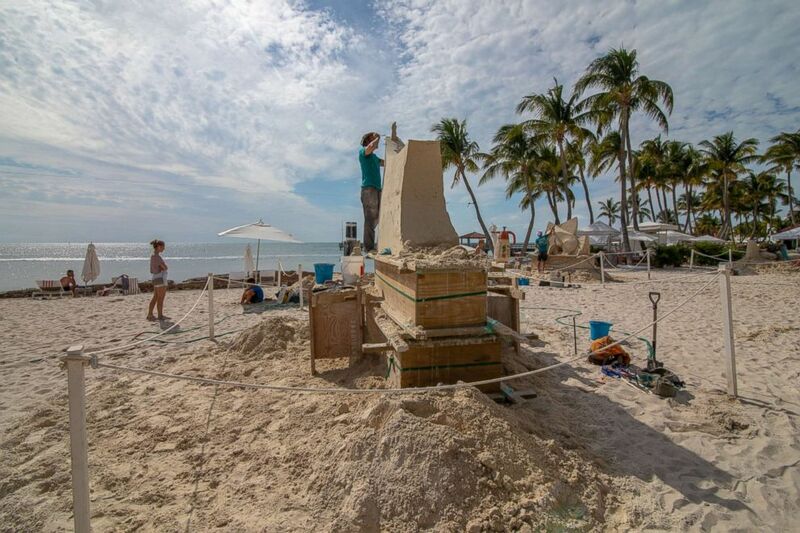 (Courtesy Marianne van den Broek) Marianne van den Broek teaches sand sculpting at a resort in Key West. I think, as with anything in life, it is about finding the right balance between work and play. Don't take yourself too seriously and realize that whatever you are doing -- or making -- is not going to last forever, so relish the moment. When sand sculptors get together, it is the most friendly and mellow group of people since we all embrace this philosophy. Of course, it takes a moment to remind ourselves of this philosophy when your sculpture collapses after you poured your heart and soul into it for hours, sometimes days. The trick is to pick yourself up, move forward and start digging again. Who knows, the next creation may be even better than the first.